Essex, England, 1645. With a heavy heart, Alice Hopkins returns to the small town she grew up in. Widowed, with child, and without prospects, she is forced to find refuge at the house of her younger brother, Matthew. In the five years she has been gone, the boy she knew has become a man of influence and wealth—but more has changed than merely his fortunes. Alice fears that even as the cruel burns of a childhood accident still mark his face, something terrible has scarred Matthew’s soul. 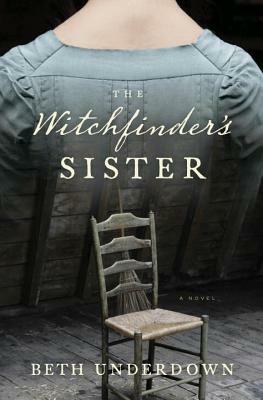 Inspired by the real-life story of notorious “Witchfinder General” Matthew Hopkins, Beth Underdown’s thrilling debut novel blends spellbinding history with echoes of Margaret Atwood’s The Handmaid’s Tale for a truly haunting reading experience. Beth Underdown studied English literature at the University of York and worked as an intern at the arts and culture magazine Aesthetica. After becoming an editor at Phaidon Press, Underdown graduated with distinction from the University of Manchester’s Creative Writing MA program. She came across the story of Matthew Hopkins while reading a book about seventeenth-century midwifery. Underdown now lectures at the University of Manchester and lives in the Peak District, not too far from where she was born; the sense of history in that landscape is an important catalyst for her writing. This is her first novel.